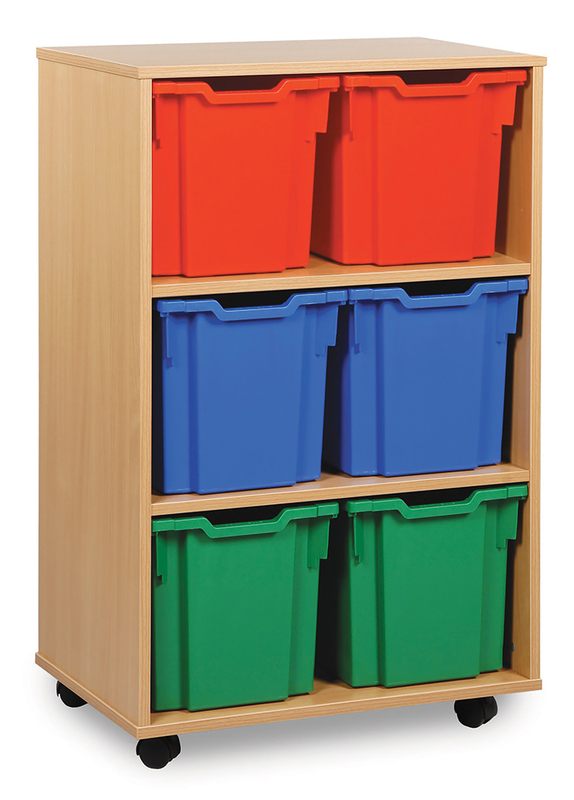 The jumbo storage units are available with 4, 6, 8, 9 or 12 jumbo storage trays. 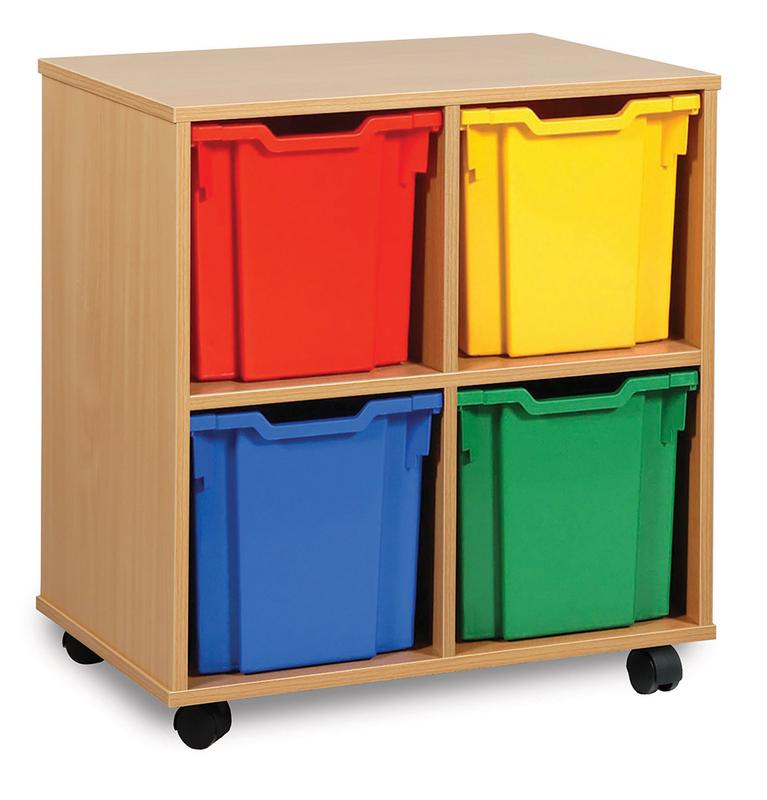 Great for use in schools, pre-schools and nurseries. 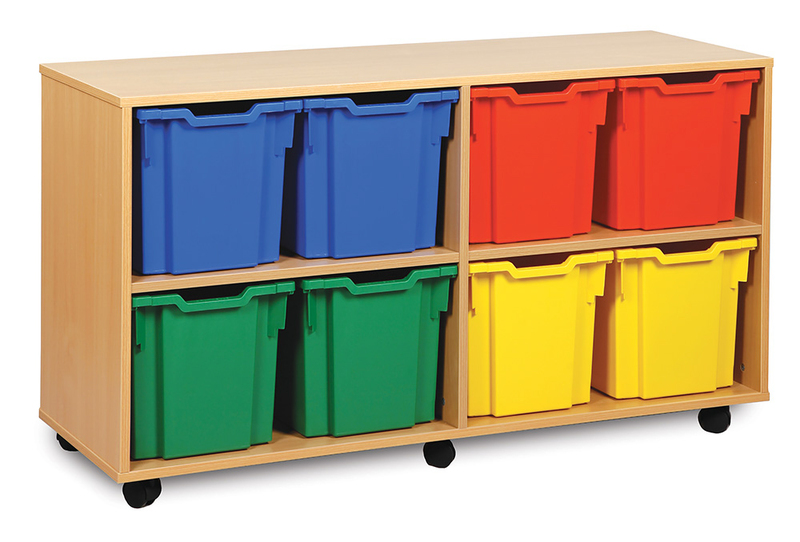 The 6 jumbo tray option can be vertical or horizontal configuration. 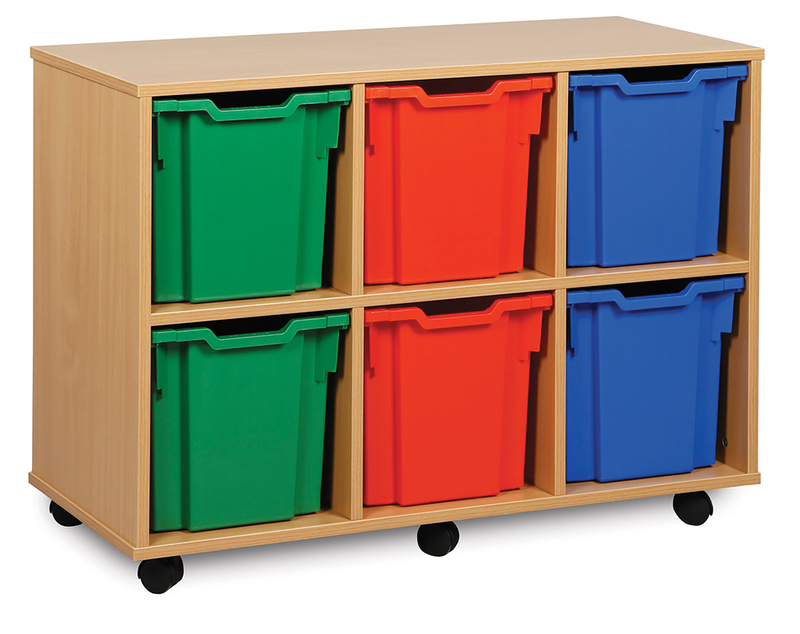 This unit provides large storage trays which can accommodate everyday classroom materials such as toys, school art supplies and even children’s school bags. 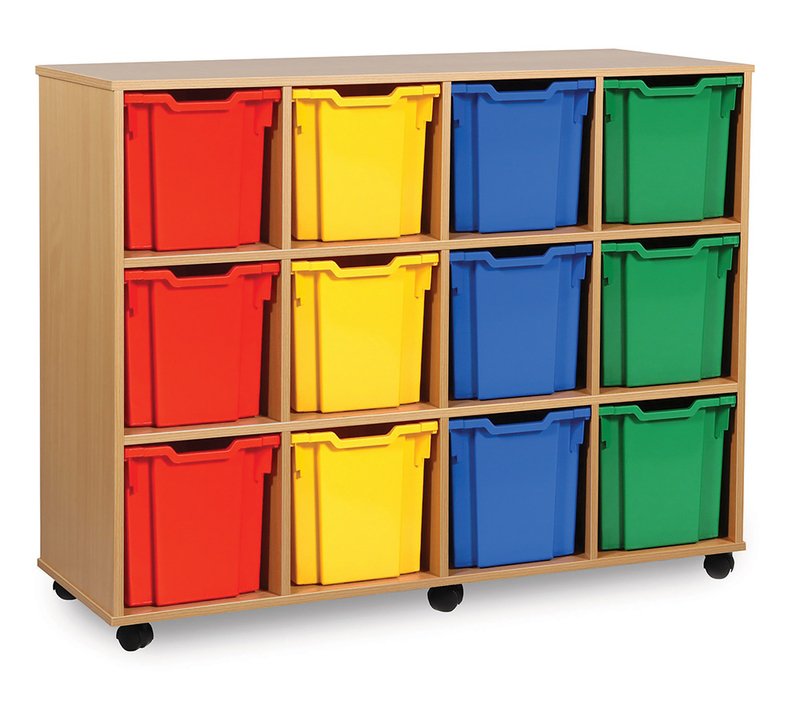 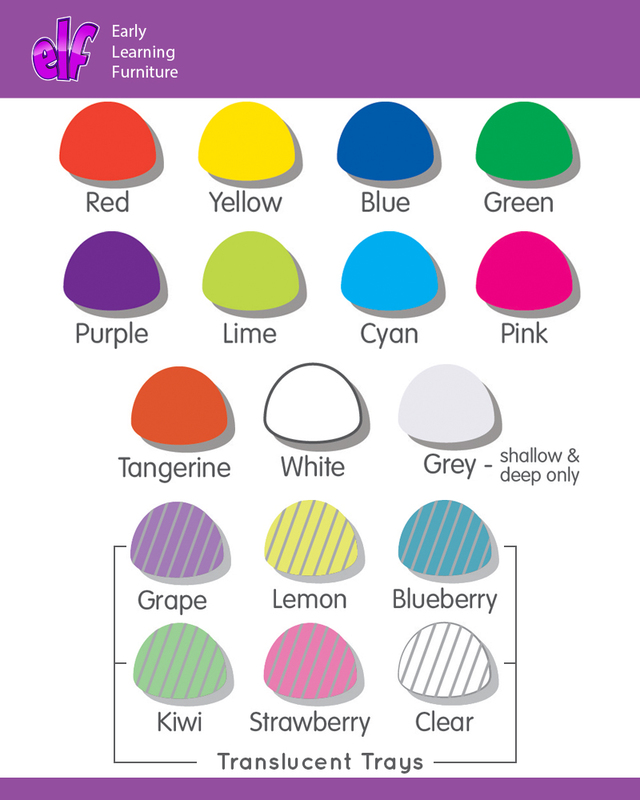 A versatile classroom storage unit that can be personalised to suit your school colours or classroom design - choose from 16 eye catching tray colours. 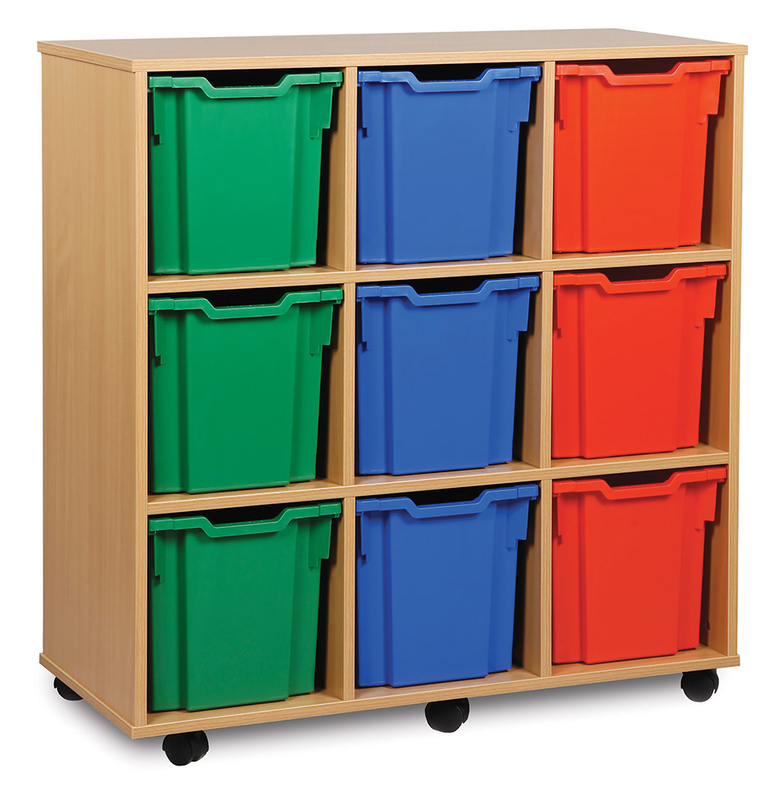 Complete with easy glide castor wheels for smooth mobility and constructed from 18mm durable MFC in a fresh modern beech finish.